Traditionally, solid state storage technologies have been deployed as an add-on to existing disk-based arrays. Today, however, emerging PCI Express Card technologies offer an attractive alternative designed to help you get the most out of your SSD investment. 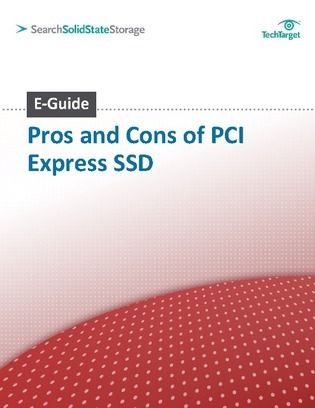 Check out this expert E-Guide today to explore the potential benefits and challenges associated with PCI Express (PCIe) technology, and receive best practices to help you determine which of these solutions will best meet your storage needs. Also discover how heavily speed should influence your SSD purchasing decision; read on to get started!